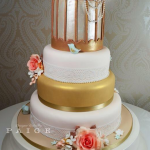 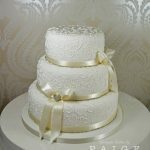 A stunning 5 tier cake with intricate detailing on every tier, hand made sugar flowers and a beautiful birdcage on top. 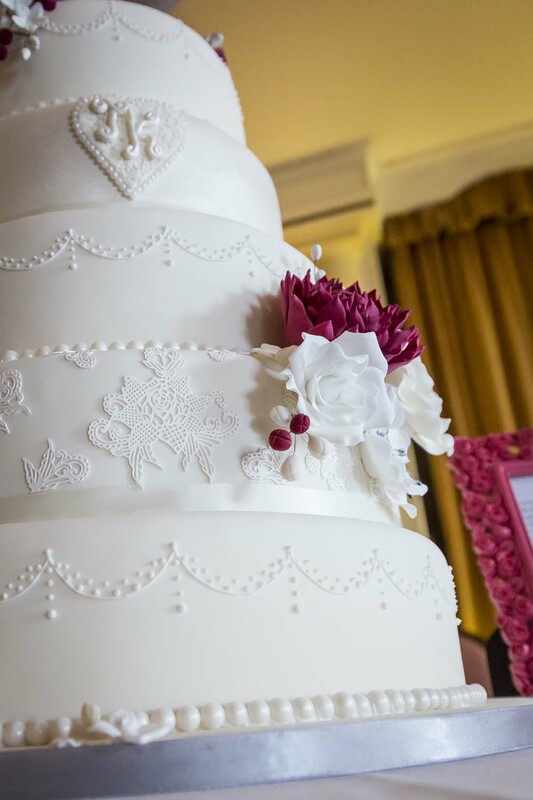 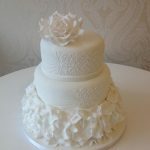 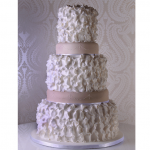 Situated in the West End of Glasgow, we specialise in bespoke cakes for all occasions. 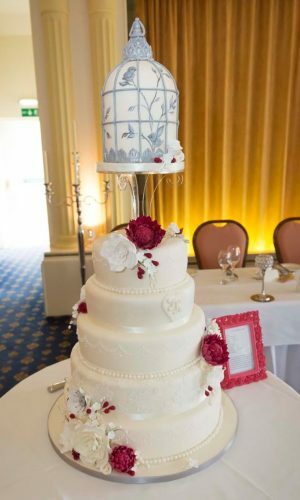 All of our designs can be personalised to make it perfect for your big day. 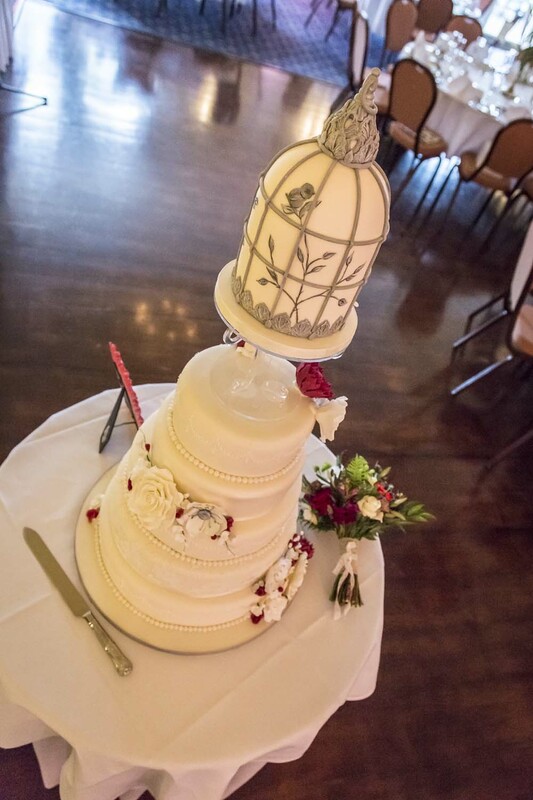 Please note: the birdcage on top is polystyrene and for decoration only. *Portions based on 1″ by 2″ slices.